Can you get better at meditation? Yes, of course you can. Like any skill you want to master, practice makes perfect. And getting better at meditation is one of the best ways you can improve your quality of life. I love that. Because it describes how I relate to meditation. You might think the recent buzz about mindfulness and meditation is all hype. But think about it. 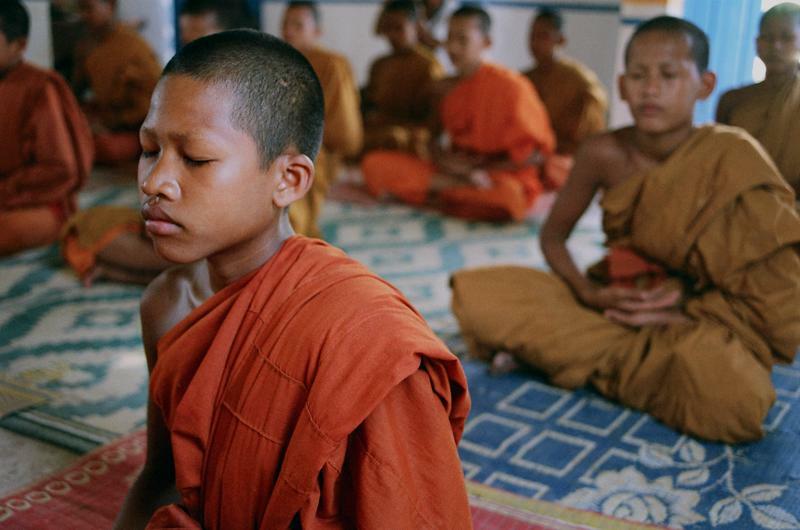 People have been meditating for thousands of years for a simple reason. It works! One way to think of making progress in meditation is this. You want to get to the point where you really love your practice. For many of us, meditation is a chore. But let me tell you, if you stick with it, there will come a time when you love to practice meditation. It will become a refuge of exquisite peace, stillness, and inner silence that you trust and rely on. Can you imagine that? Maybe you already experience it. Either way, relishing your practice is the foundation to becoming a better meditator. So how do you get there? 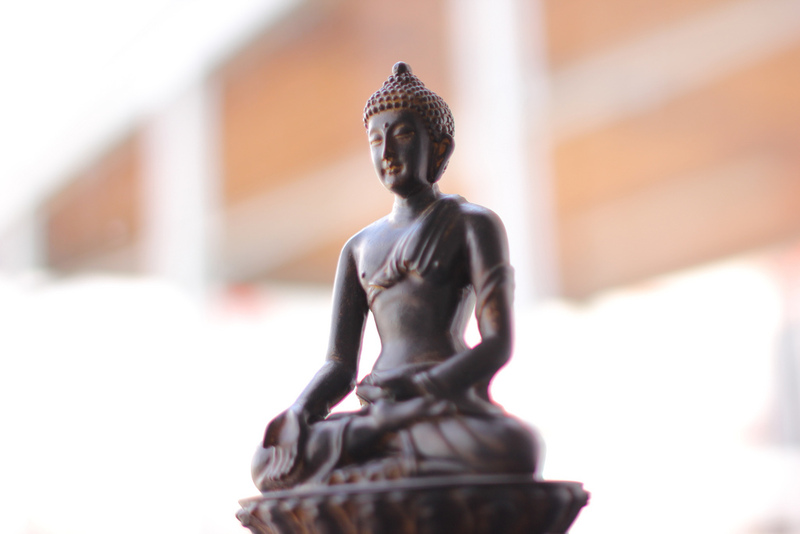 Here are my top 10 tips for making progress in meditation. Hopefully you’ll find these helpful as your own practice continues to evolve. Each of these has played (and still does) an important role in my own development. 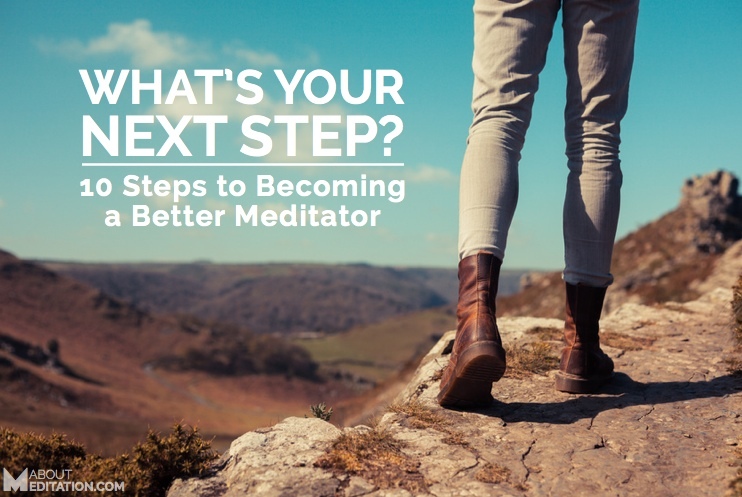 This is one of the best ways to become a better meditator. Sitting still and silent for hours on end helps in every respect. First, you develop the physical stamina to sit without moving. Then, you get familiar with the mechanical nature of your mind, which spins out endless cycles of thoughts like a psychedelic production line on steroids. Spending longer periods of time in meditation also builds confidence. You learn you can sit still and bear anything your mind throws at you, without moving. Learning how to be easy with your mind in this way is crucial on the path of meditation. As you spend longer periods of time meditating, you’ll find that there isn’t anything you can’t lot go of. That will inspire and fortify you. Think about meditation in the context of your whole life. Meditation is just one part of a larger picture. If you are striving for balance, inner peace, greater focus, less stress, then meditation alone can’t do it. Here’s one way to think about it. Deep meditation introduces you to a pristine and beautiful place within. It’s pure and always peaceful there. And it can give you a taste of what real balance and equanimity is all about. But eating well, exercising, having healthy friendships, maintaining a work-life balance—these are also key aspects of a rich life. If you are depending on meditation alone for balance, it won’t work. Yes, it can be a game-changer, but you can amplify the power of your meditation if it’s one part of a conscious whole. Meditation is the foundation for mindfulness. When you are meditating and letting go, you drop into your center. Bringing that quiet calm focus into the rest of your life is what mindfulness is all about. I find that my efforts to go slow and be mindful always support and build momentum in my meditation practice as well. 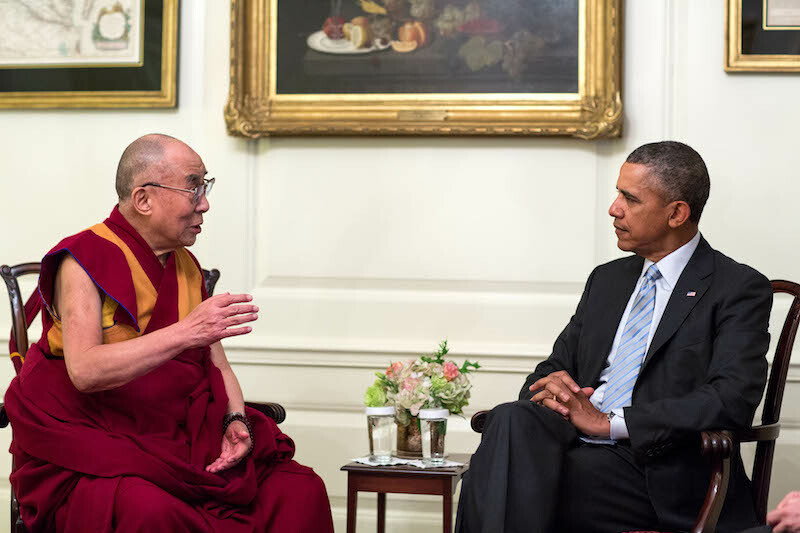 Mindfulness and meditation are mutually reinforcing. You don’t want to sit on the cushion, get blissed out, and then forget about it when you enter the fray of life. On the contrary. Try and make the conscious effort to invoke that silent steady center all the time. One of the best mindfulness techniques I’ve learned is incredibly simple. Just slow down. Slow down whatever you are doing. When you do that consciously, you’ll find that meditative awareness buoys to the surface of your being. It’s easy to get into a rut when you practice meditation. Here’s a simple remedy for that. Remind yourself why you started to begin with. Was it an experience of your mind going quiet and the beauty that opened on the other side of that? Was it desperation in the face of stress and overwhelm? Whatever the reason, just stop and remember your original impulse. Reconnecting to that intention is always a powerful way to strengthen your practice and re-double your efforts. “Wait, isn’t meditation all about not thinking?” you ask. Yes, that’s true. But here’s the thing. Often, when you slow down and think about meditation, it’s kind of like making yourself vulnerable to meditative awareness. And that’s a good thing. Thinking about meditation can put you in a meditative frame of mind. Maybe you can relate? Sometimes, just thinking about meditation can trigger a memory or connection to a powerful meditative experience. The next thing you know, you’re sinking into the ground of being and falling into a state of meditation. When you meditate, really let go. Let your mind range out where it will. Let all your fixed reference points dissolve. Whatever you think meditation is, forget about it. Renew your practice with fresh innocent energy and experiment with a clean slate. Try to let meditation pre-occupy you but imagine you know nothing about it. Throw out everything you’ve read or heard and try it like it was your first time. You might discover something completely new! And if anything fuels your practice, it’s the exhilaration of insight and discovery. Approach this territory afresh, like a brand new neighborhood. Testing yourself is an important part of becoming a better meditator. It helps you build confidence and expand your sense of what’s possible. When I was in college, I used to get up at 4am to meditate. More recently, I meditated repeatedly throughout the night from midnight to 6am. And I participated in many 10-day silent retreats where we did practice 19 out of 24 hours each day. I don’t recommend that kind of practice. First off, who has that kind of time!? But I do recommend occasionally pushing yourself beyond what’s comfortable. Not all the times by any means. That will just end up demoralizing you. I’m just talking about occasionally pushing yourself beyond the norm. First, you’ll discover inner resources you didn’t know you had. And second, you will most likely have a mind-expanding experience that will build your confidence. As we’ve written about elsewhere on this site, meditating with others is important. Meditating with trusted friends who have a strong intention creates a powerful meditative field. Frequently meditating with others in this field of awareness can accelerate your development and help you become a better meditator. Try it and see for yourself. Reading books from authentic spiritual masters, studying different meditation paths, following blogs like this one—these are all important parts of deepening your practice. I’ve read some books about the lives of certain spiritual teachers over and over again. Each time they open new doors and provide fresh insight and inspiration. Whether it’s a particular person or writer who captures your imagination, it’s important to feed your soul and your intellect. Regular study and contemplation is key to becoming a better meditator. For me, it was reading the Gospels of Sri Ramakrishna and the Pali Canon about Gautama Buddha. If you were going to learn a new language or start playing tennis for the first time, you’d want a coach, right? Well, it’s the same with meditation. Getting a coach, guide, or teacher who is further along in his or her own practice of meditation can be an enormous help. Meditation is subtle, so most of us do need direct guidance at some stage along the way. A word of caution. Don’t put that person on a pedestal. This is perhaps the biggest pitfalls of getting a teacher. It’s easy to get doey-eyed with a teacher who helps you navigate this subtle inner terrain. I know this from my own experience. It helps neither student nor teacher. Meditation teachers don’t have special powers. They are just like the rest of us, with flaws and faults. They are only human. Like any student/mentor relationship, there should be a simple contract of learning and mutual respect. 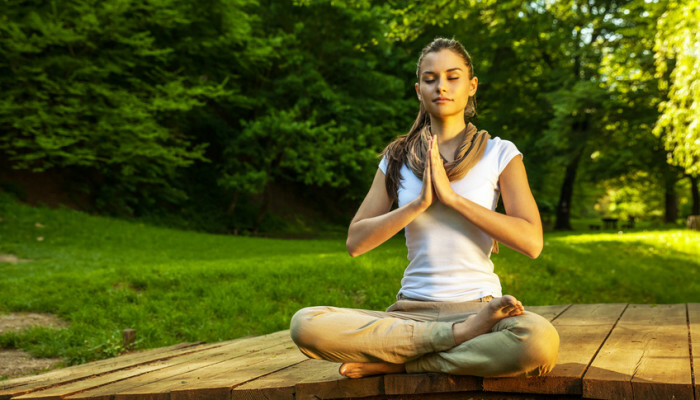 Meditation retreats are some of the best ways to become a better meditator. How? First, you can go deeper into meditation than at any other time. A retreat is exactly what it says it is—a withdrawal from the world. During retreats, you abandon the surface of things and live in a deeper zone of self and awareness. This can happen even over the course of a short weekend. You don’t need 10 days. One way to think about it is that retreats allow you to live in an unbroken state of meditation and mindfulness. You experience what life is like when you never have to leave that inner silence. This experience is so important I can’t recommend it enough. It will change your life, and you will take leaps and bounds in your practice. Ok, so we just covered 11 different actions you can take that are pretty much guaranteed to help you advance your meditation practice. But what’s next for you? There’s a lot to chew on here. I recommend you start simple and take a single bite. First, which one of these 11 tips most spoke to you? I’m sure one of them stood out for you more than the rest. Start by acting on the one that standout and see where it takes you. What about after that? Well, take another step, and another, and then another. Before you know it, you’ll look up and realize that you have a meditation practice that you love and can’t live without! The post 10 Steps to Becoming a Better Meditator appeared first on About Meditation.